Evanston, Illinois, January 2, 2018—Amy Hinote, founder and editor-in-chief of VRM Intel Magazine, the vacation rental industry’s leading news source, has published The Power of a Vacation, a book of daily travel inspiration aimed at encouraging travelers through the joy of wanderlust to open themselves to new adventures and to experience the world in a different way. The book is a yearlong calendar compilation of quotes, fascinating facts, excerpts from studies, song lyrics, and more about the importance of taking a vacation. From Confucius to Rick Steve’s to Maya Angelou to Ernest Hemingway, The Power of a Vacation takes the reader on a yearlong journey, reminding him or her each step of the way how much the journey itself adds to one’s life and enhances the joy of discovery. Readers are in for a treat as each day includes a meaningful reminder on how, through leisure travel, we are able to see the world with fresh eyes and how our mind, body, and spirit lift through new adventures. 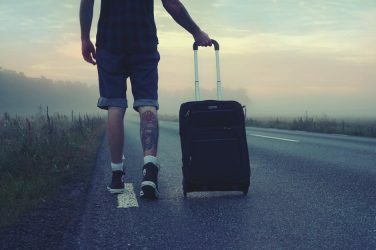 Liberally sprinkled with up-to-date facts about the mental and medical benefits of travel, The Power of a Vacation serves as a reminder that, from time to time, we all need a vacation. 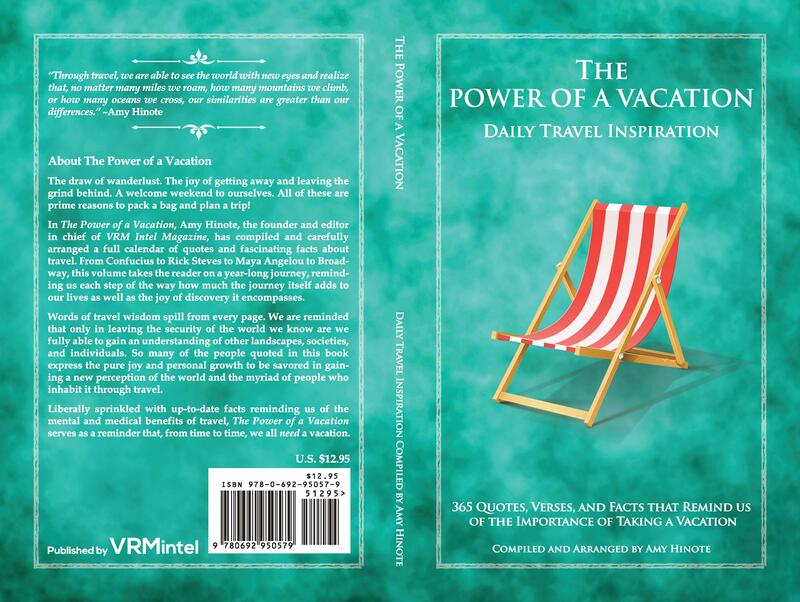 The Power of a Vacation is now available for purchase through Amazon. Amy Hinote is the founder and editor-in-chief of VRM Intel Magazine, which provides news, information, and resources for the vacation rental industry. As a fellow traveler, Hinote recently completed her second yearlong road trip through Europe, Canada, and the United States. Her appreciation of the many men and women who work in the travel industry is the source of her inspiration for the magazine, the VRM Intel news site and the regional events she hosts. Hinote resides between Evanston, Illinois and Orange Beach, Alabama.